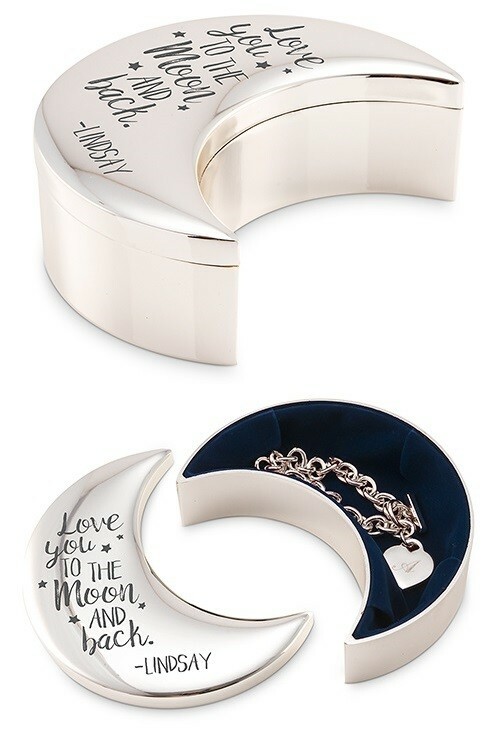 This beautiful crescent moon-shaped jewelry box features a polished silver-plated exterior that is engraved with a whimsical "Love You to the Moon and Back" design with starry accents and a name engraved below the design (the pictured hyphen before the name is automatically included in the engraving). Made of plated zinc alloy metal. PLEASE NOTE: Pictured jewelry is not included.